Need a Site or Block Plan? Enter your postcode or address below to get the plan you need. Fast and efficient online service. Very easy user experience and excellent download facility as well as paper option for a minimum sum. Easy to use and printed maps in the post were on good quality paper. Very easy to use, and obtain site map. Thankyou! Good value. Easy process . Maps were of good quality and up to date excellent value for this product and extremely helpful when applying for planning permission. Easy to obtain and helped on the phone to get the red outline done correctly! Thanks. The process was so simple to use, I hate form filling as a rule but,this was great very happy. Able to download map was super easy and just what we needed! Easy to use, quick delivery both electronically and hard copies! The system is really good when you have the correct address and the colouring boundary and plot is a good system giving snap locations along the boundary line. All planning applications* need site plan (also known as a block plan) which shows the development in detail and a site location plan (also known as a location plan) which shows the proposal in its surrounding context. These plans enable the local planning authority (LPA) to identify the land to which the application refers to and should be based on an up-to-date Ordnance Survey map. This guide outlines what Site Plan you must submit with your application. You can create and buy the plan you need from us and attach this to your online application. If you are posting your application, you will need to send 4 copies of your Site Plan. Please read through the following information to ensure you select the Block Plan you need. If you need any help creating your Site Plan please give us a call on our helpline 01856 898 022. The site plan (also called a "block plan") should be drawn at an identified standard metric scale - this is normally 1:200 or 1:500. 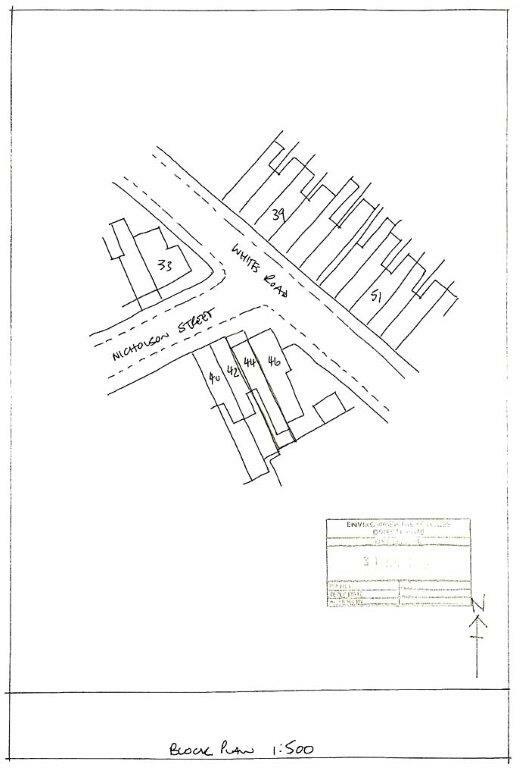 It should show the proposed development in relation to the site boundaries and other existing buildings on the site, with dimensions specified including those to the boundaries. It should also show the direction of North. All buildings, roads and footpaths on land adjoining the site including access arrangements. All public rights of way crossing or adjoining the site. The position of all trees on the site, and those on adjacent land. The extent and the type of any hard surfacing. The boundary treatment including walls or fencing where this is proposed. What Maps are used for Site Plans? Your Site Plan needs to be based on up to date accurate mapping. 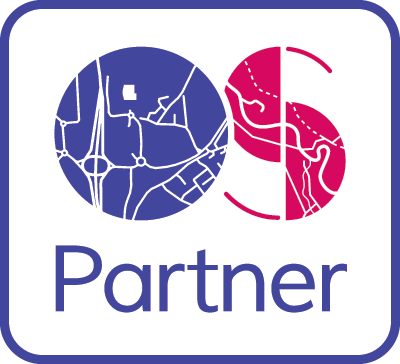 We offer Ordnance Survey's Mastermap® data as the basis for all our Site / Block plans as we believe this is the best mapping available of Great Britain. Due to the very high quality of their data we can guarantee this will be accepted by your planning department. All of our Site / Block plans are guaranteed to meet your council's requirements for planning applications. There are a number of other applications you may need a site plan for, please see our applications that require a site plan page for more details and call us if you need further details. How Much will the Site Plan cost? You can create your Site Plan yourself online which can cost as little as £8.50 + VAT for the pdf. Some companies do charge more than this so it does pay to shop around. 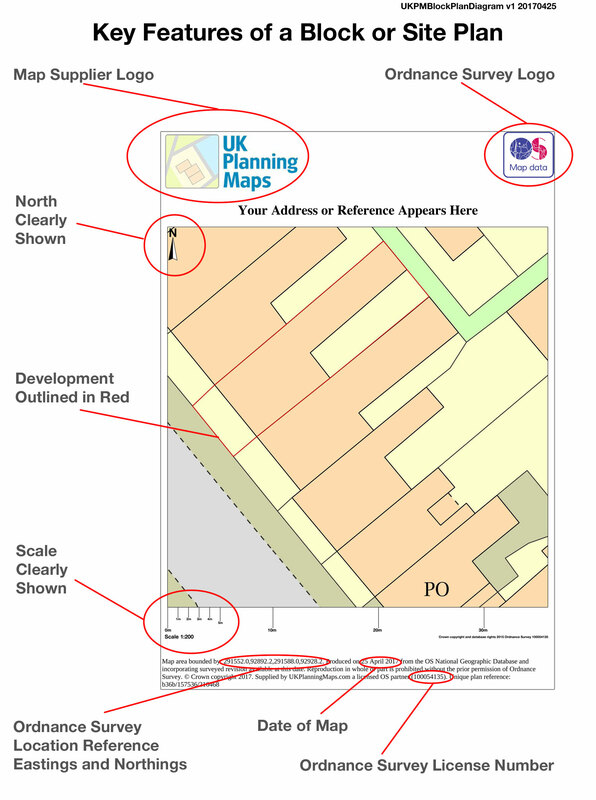 Bear in mind that if you buy from one of the Suppliers that pay to advertise on the Planning Portal your Site Plan will cost more, however it is exactly the same map as provided by all the Ordnance Survey licensed partners. If you have your architect create your plan you will also need to pay their fees as well. Enter your postcode, you'll see a preview of your map and you'll be able to add the outlines you need. We will format your site plan as a pdf and send it to you instantly. What format will my Site Plan be? Site Plans are normally provided in PDF or jpeg format. We also offer Site or Block plans in MS Word format, to allow you to edit or add extra annotations as needed. You can submit your site plan to your council in hard copy as paper documents. It is often easier to mark up your annotations on the paper document. When ordering your site or block plan some companies will also sell you printed copies of your map, but beware this can cost as much as the map itself again! Under the licence terms of your Ordnance Survey Site Plan you can print your map at home, but only 1 copy. However, most councils will require at least 3 copies of your site plan. It is best to order any printed copies you need from your map supplier. 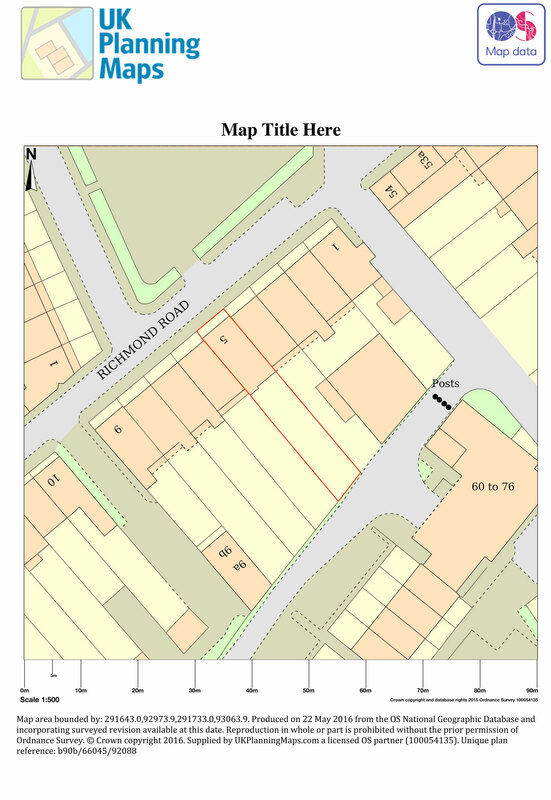 If you need printed copies of your site plan please let us know at the time of ordering and we will send you out 6 free paper copies, you only pay for the P&P. Please review our diagram of a Site Plan. This shows the necessary elements of your Site Plan or Block Plan.